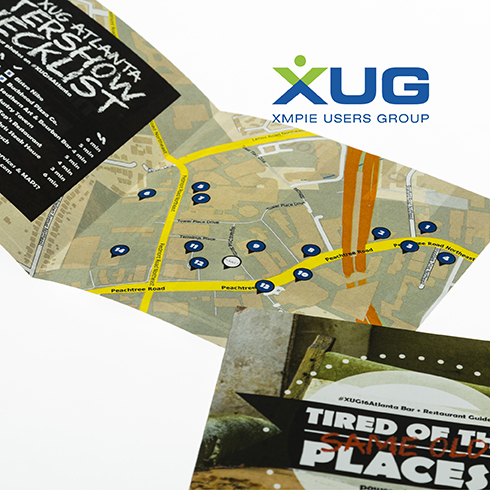 The XMPie Users Conference brings together users from all skill levels for in-depth sessions that examine the latest developments in the fields of variable data printing (VDP), cross media, web-to-print software and campaign management. 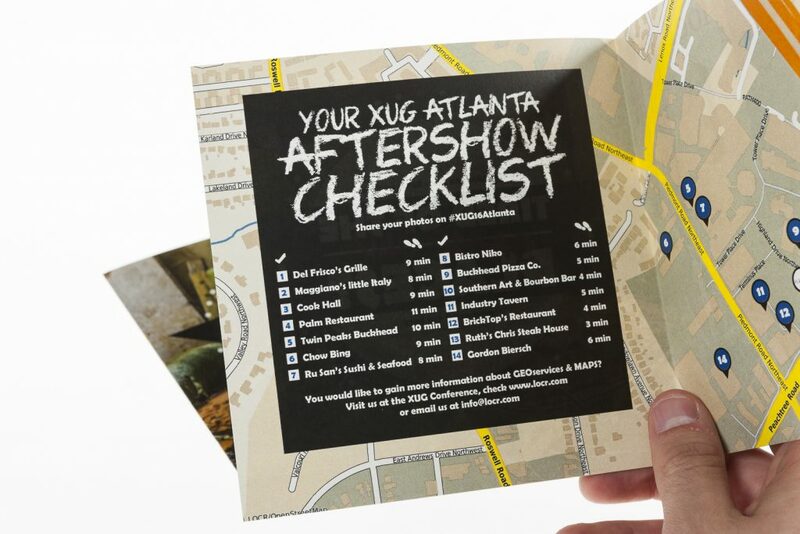 XMPie wanted to show the XUG16 attendees that the Buckhead area around the event location includes many interesting spots to spend their evening after a successful trade show day over some drinks and delicious food. 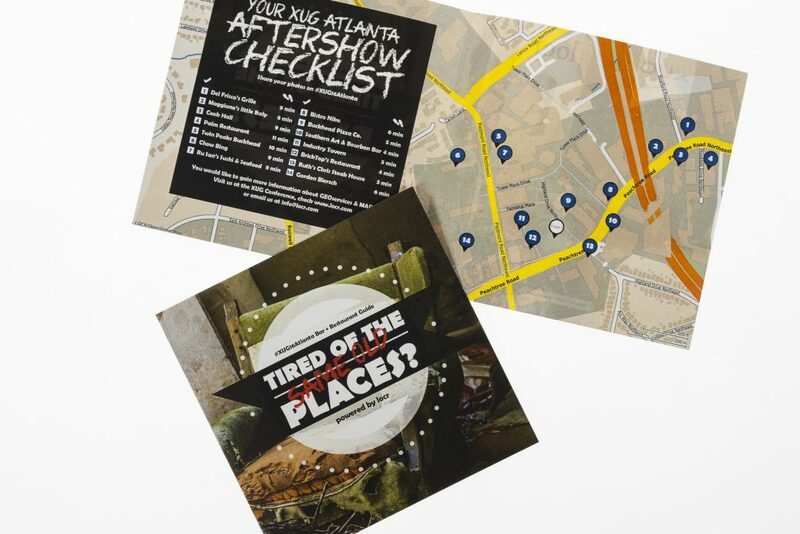 Locr created a LOCALmap shows 14 locations of bars and restaurant near the Hyatt Buckhead, where the XUG 16 took place. 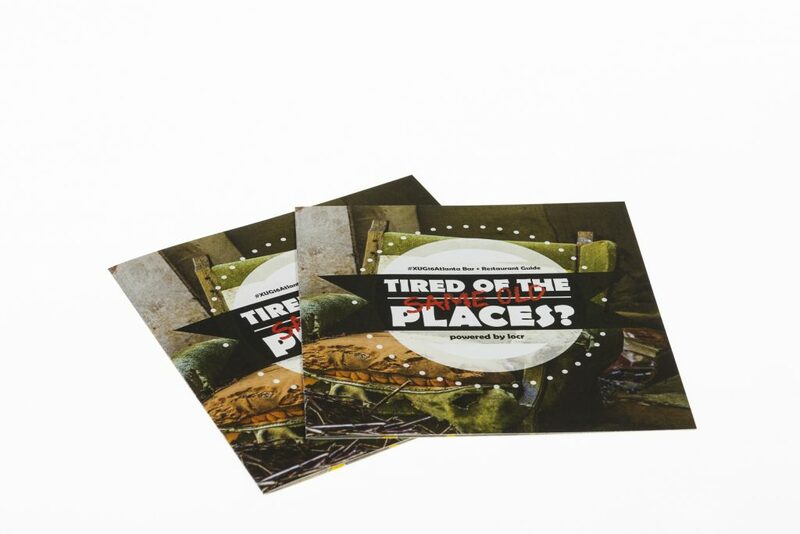 Next to the map with numbered pins, a list of names with locations that are pinned on the map. Best of all, it also shows the walking distance in minutes from the Hyatt to the particular location. Want to learn more about other locr projects? Read more in our success stories.